*You will need to use 3 tablespoons vegetable oil for each bag of candy wafers. Recipe and photo used with permission from In the Kitchen with Azure. Cake Pops are huge at our house and these are super cute for St. Patrick's Day! We'll have to try these! I had to read through to figure out how you got the shape. Clever! Oh, how cute are those! The shamrocks would be a real hit with my kids. These look so delicious! Have to try them out on St.Patrick's Day! Thanks for a great idea! These are so festive! I bet they'd be a big hit with my kids! These are adorable! Thanks for the recipe. What a cute idea for a St. Patty's Day treat! They sound yummy, too. Those are so cute and perfect for St. Patrick's Day. I love that they are key lime, too, which is one of my favorites!! Yum these looks so good and I bet these are a lot of fun to make also. That sounds so easy to make and perfect for a get together we are having tomorrow. Luckily I have everything on hand for this. These sound amazing! Thanks so much for the recipe! 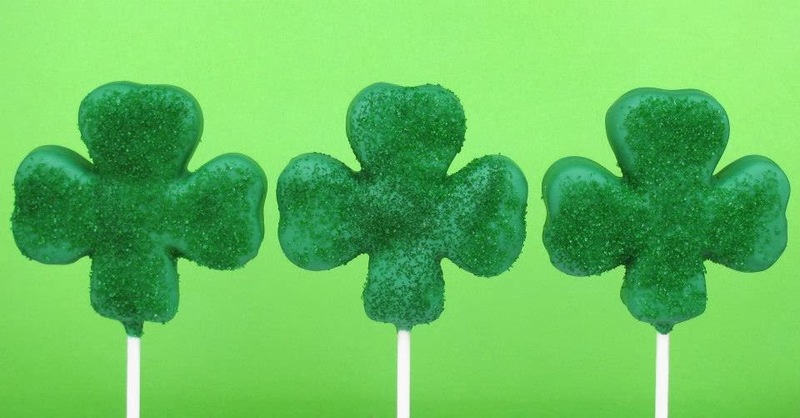 These cake pops are too perfect for St. Patrick's Day. I love that the recipe calls for cream cheese frosting because I love cream cheese! I know a certain someone in my house who would probably die for these. I will definitely be making them this week for him. Thanks for the great recipe. Cute idea! Funny story: When my daughter was younger since she was born in march she always thought shamrocks were something that was exclusive to her birthday. She would have loved these! Those are so adorable! I really need to learn how to make cake pops. They're always so cute. Oh my how cute and yummy. the kids in my son's class would love these. These are so cute and bet they taste so yummy! Perfect for tomorrow's holiday! So cute - and really nice you are able to make this - perfect! Those are beautiful! i haven't done anything for St. Pattys day since I don't really celebrate it. Would love to make these though.